I've been fighting with my computer for an hour, trying to do a new blog header! I don't know enough about photography and editing and I'm really dissatisfied with this latest one. 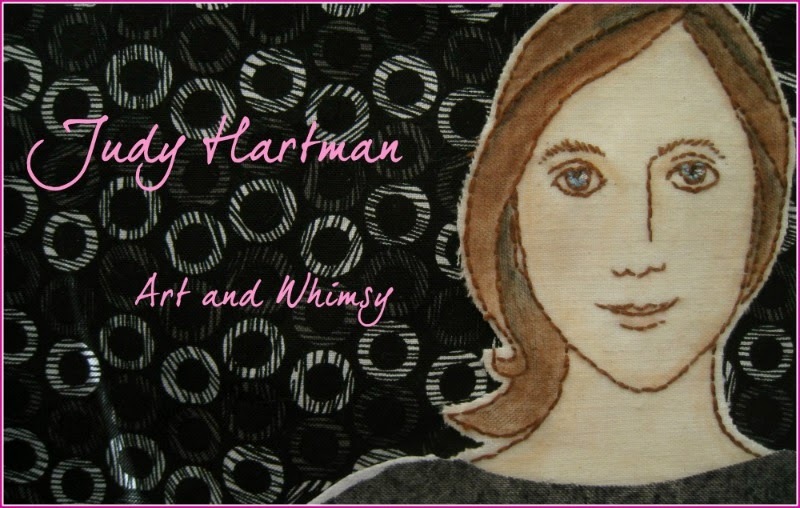 I tried it with a black print background and added the words using Picmonkey, but it ended up looking like a big storm cloud on top of my blog! I could really use a Photoshop course, but meanwhile I'll plug away and probably try a new approach in the next few days. 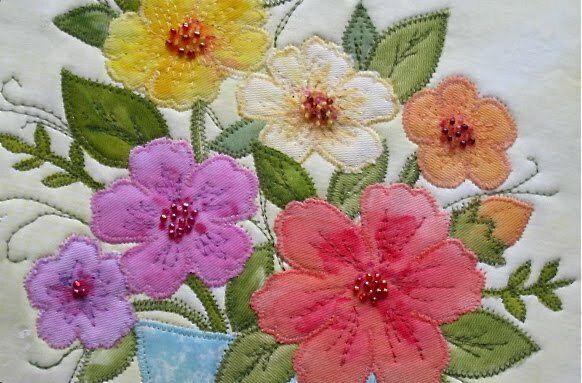 I also belong to a fabulous stitching group which meets one morning a week. 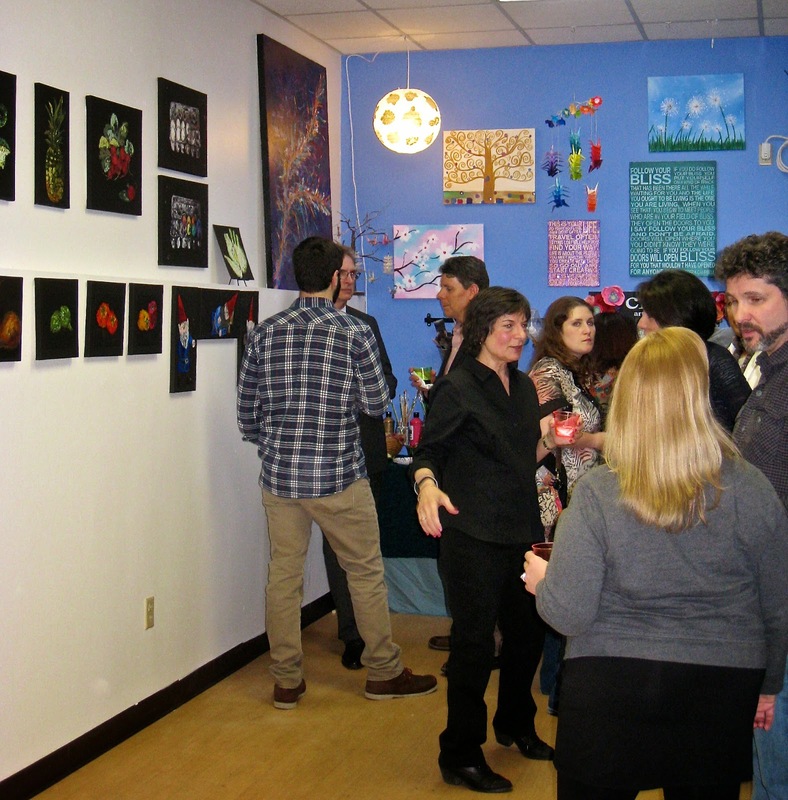 Each person is working in a different medium, it seems, and I've been inspired each and every week I've been there. We're all women, and there's lots of conversation and laughter, too. 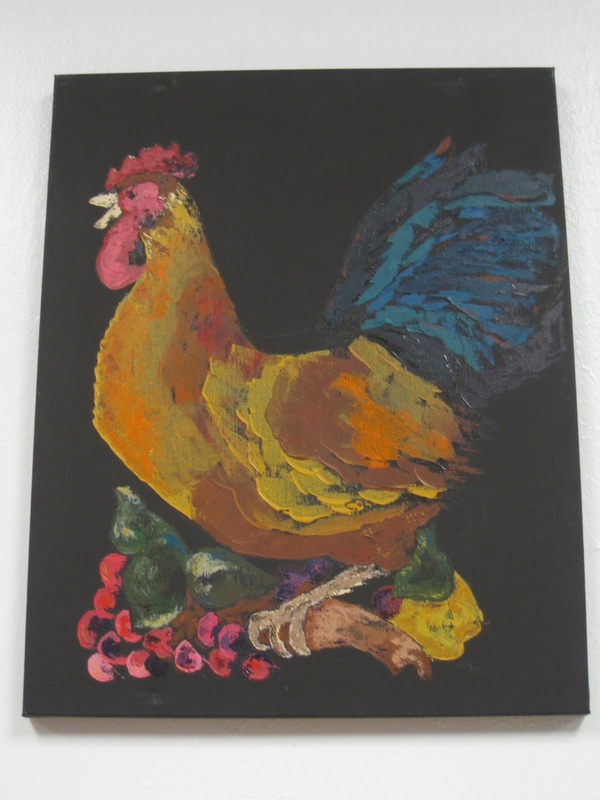 A friend from my art classes, Rosalie, had an opening for her show of vegetable paintings last week at Create Artisan Studio, our local hub of creativity. Rosalie is on the right in this photo, and on the left is AnnMarie, the owner of this fabulous place. My exhibit will take place here in June. Love it here! 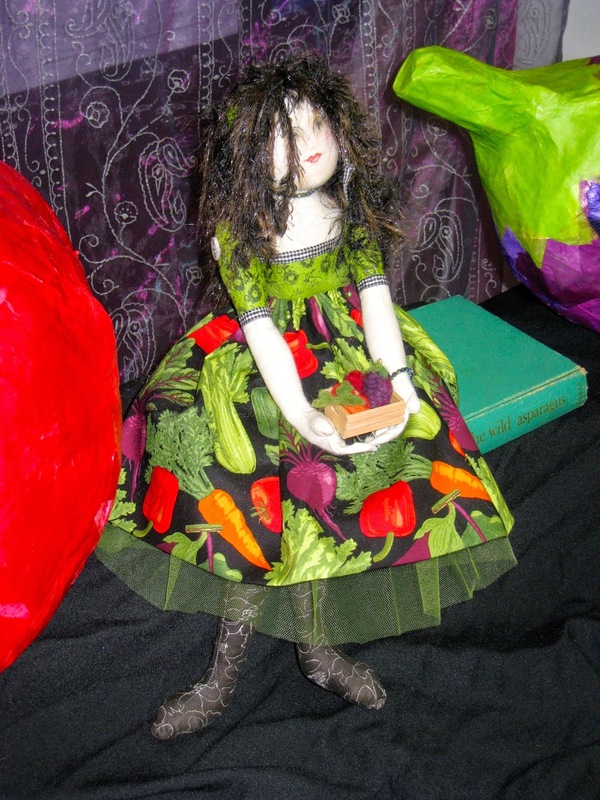 Here's a vegetable-themed doll Rosalie made in one of our classes! And, as always, our art classes with Amy Ropple, whom I admire so much, continue on. 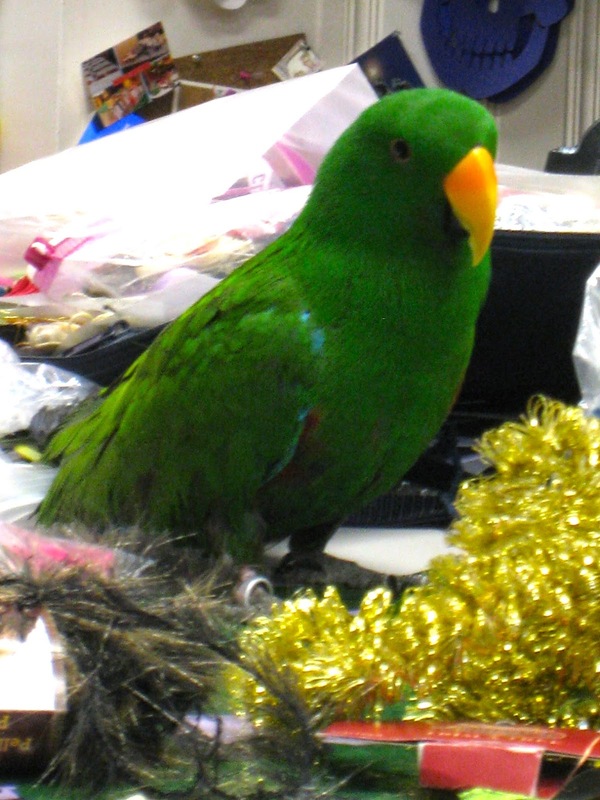 My creativity has increased greatly since I started taking classes - quilt collage, drawing, paper mache, beading, fiber studio - and often we have the handsome Cairo, one of Amy's parrots, on hand to entertain us. At the moment I'm working on this little beaded doll, just for fun. I'll share a better picture when she's done. Hope your week is going well and that you're finding time to be creative, too! I've been away from my blog for way too long and I miss it. There's a lot going on in my life right now and I've felt pretty scattered, but I want to get back to posting some of the creative things I've been working on. I have to admit, I'm very fortunate to belong to a few circles of very creative people. I'll write about them as the month goes on. For today, here's a little watercolor painting I did this morning. I was in an art supply store recently and just couldn't resist a box of watercolor pans, like the set I had as a kid, but with twice as many colors! I knew I had a busy day ahead so I took a few minutes to do this. The centers are made with dimensional paint. 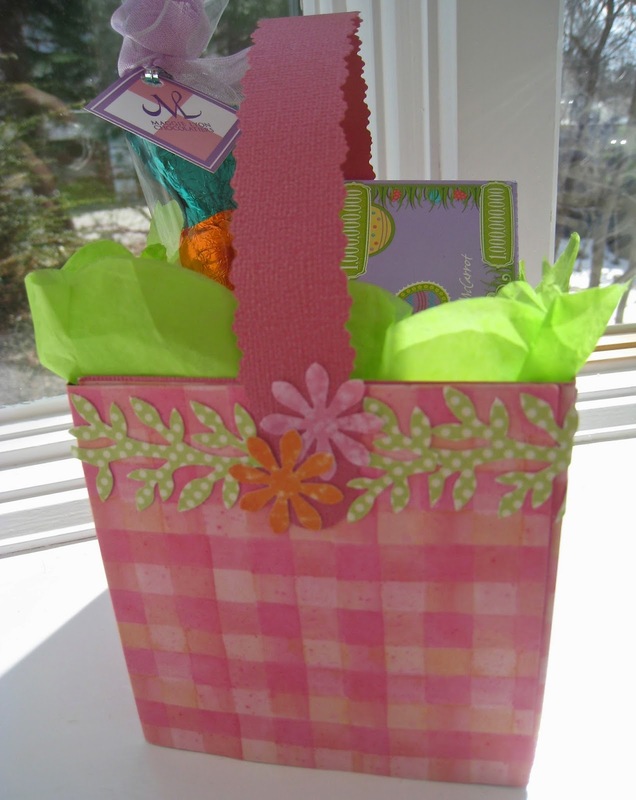 And yesterday, as I prepared a little Easter gift for a friend, I realized I didn't have a gift bag, so I took some time to make an easter basket out of scrapbook paper and paper punches. Pure arts and crafts, but so much fun! I'm finding that just the act of being creative, no matter what the project, increases my sense of joy and well-being each day. 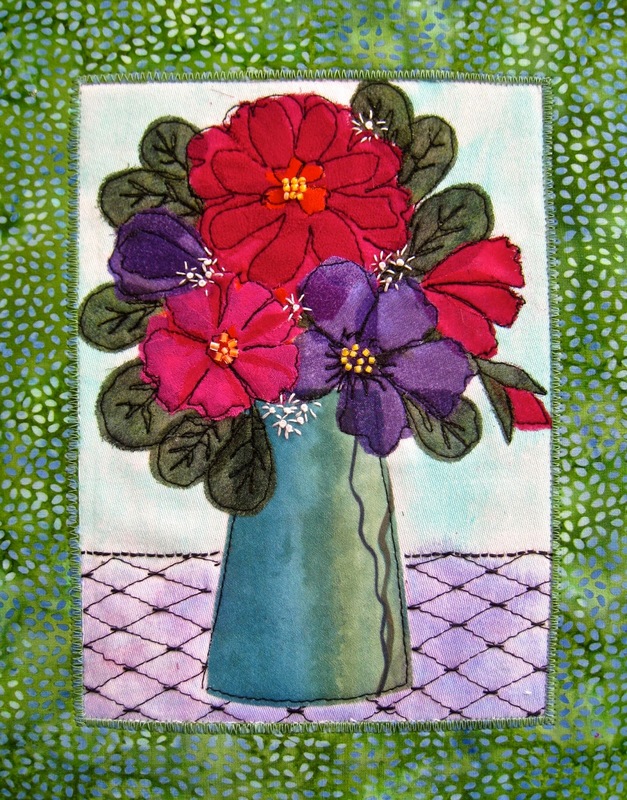 Tomorrow I'll be going to a stitching group I recently joined and tomorrow night is my textile studio class. Sitting and stitching in these upbeat gatherings is a great antidote to some stress I've been dealing with lately. 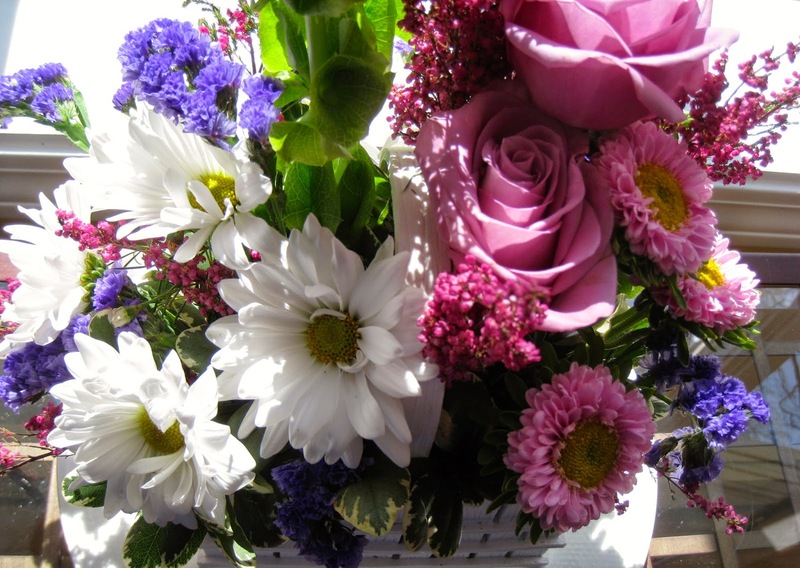 Creativity can be a blessing if we allow ourselves to enjoy it. I hope to share more projects in the days to come. 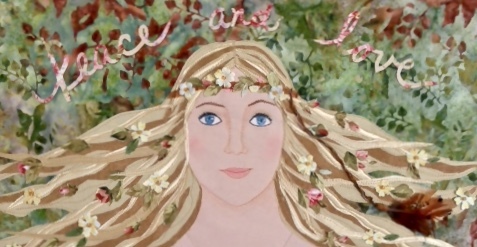 We still have snow on the ground, but I love the promise that April brings. Hope your month is off to a good start.